Hello everyone. Welcome back after a very wet weekend here in Northern California. The gloomy, wet weather did make for a nice excuse to stay home in my comfy clothes the majority of the weekend. I have really enjoyed it. The project I have to share with you today is one that was inspired by Carrie Gaskin, also known as Artistic Avenger. You can see her cute book here. I knew as soon as I saw it that I had to share this great project with my Big Shot Club Members. Here is my take on Carrie’s book. 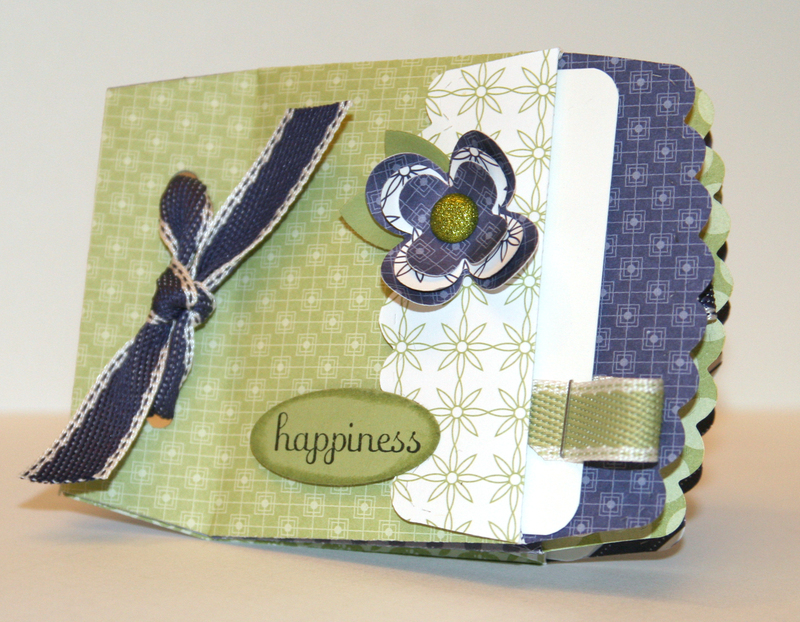 We will be making this mini pocket book at tonight’s Big Shot Club Meeting. I hope they enjoy it! ohhhhhh.. so cute. carrie is one of my most favorite designers!! She is so amazing!! Thanks for enjoying this project!